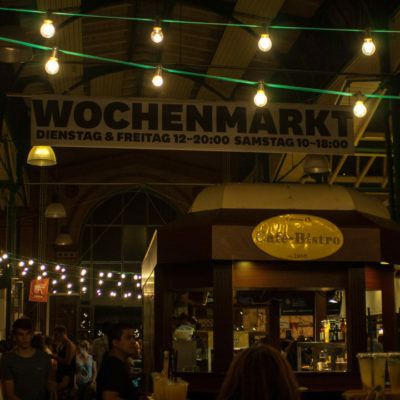 With this article our team would like to present you a short guide to Berlin’s most popular food markets. 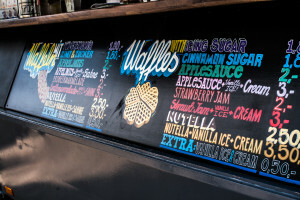 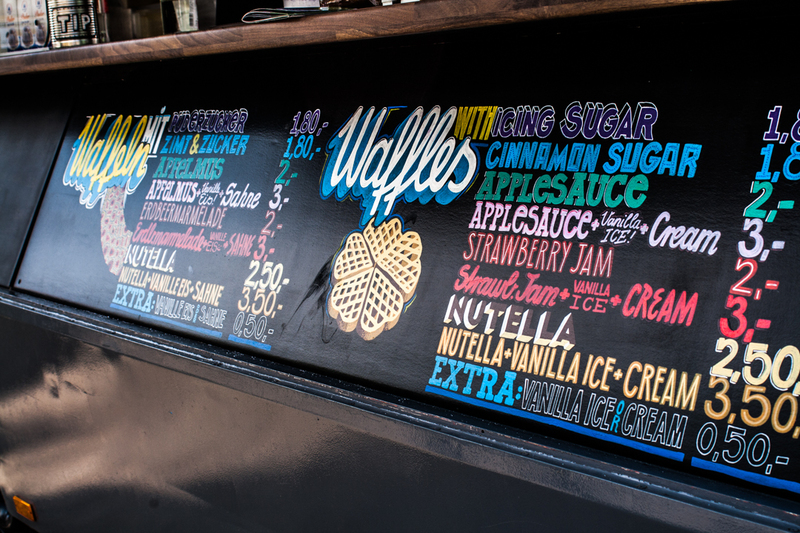 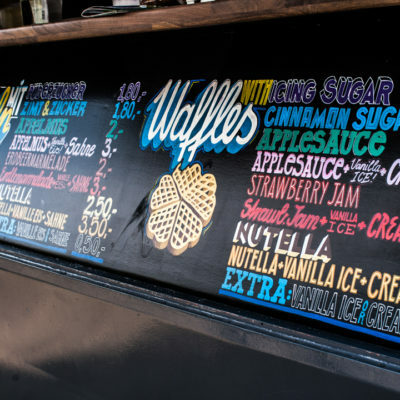 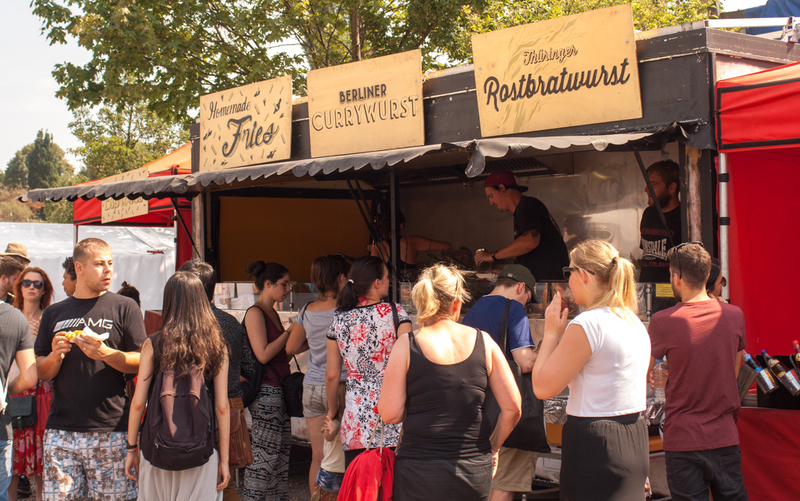 As we all know Berlin is famous for its diversity, and it is also reflected in food preferences. 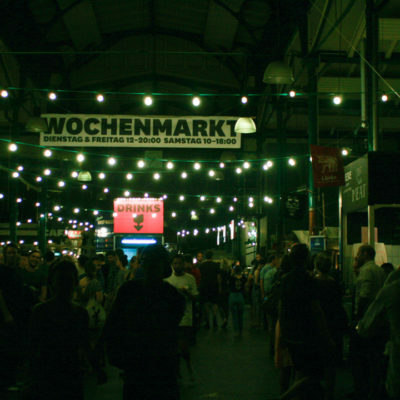 One of the biggest food markets in Kreuzberg, Eisenbahnstraße has a rich history with a length of 120 years. 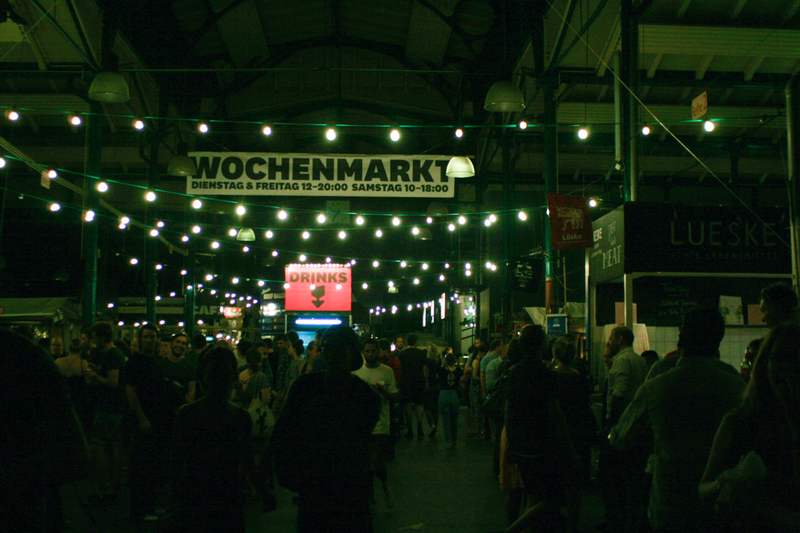 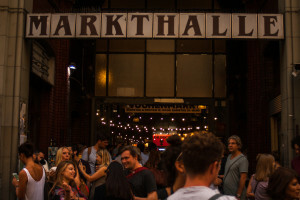 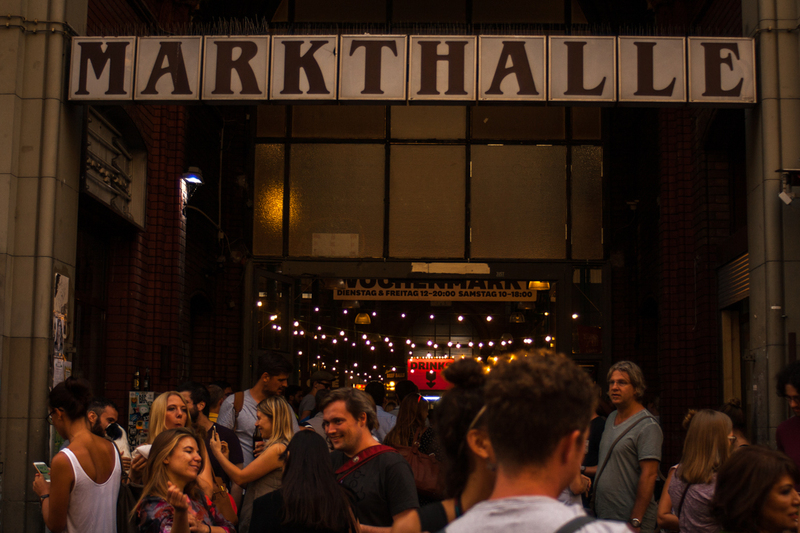 As an official site of the market says, it’s official opening as Markthalle IX took place on October 1, 1891. 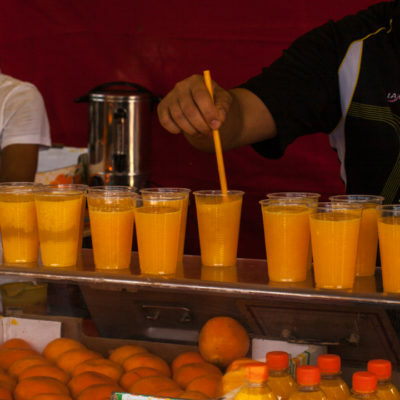 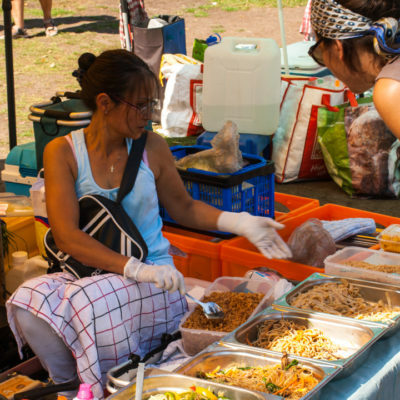 The market had a long history when in 2010 it was finally transformed to a place it looks now — a gathering point of small vendors that sell any type of food and goods. 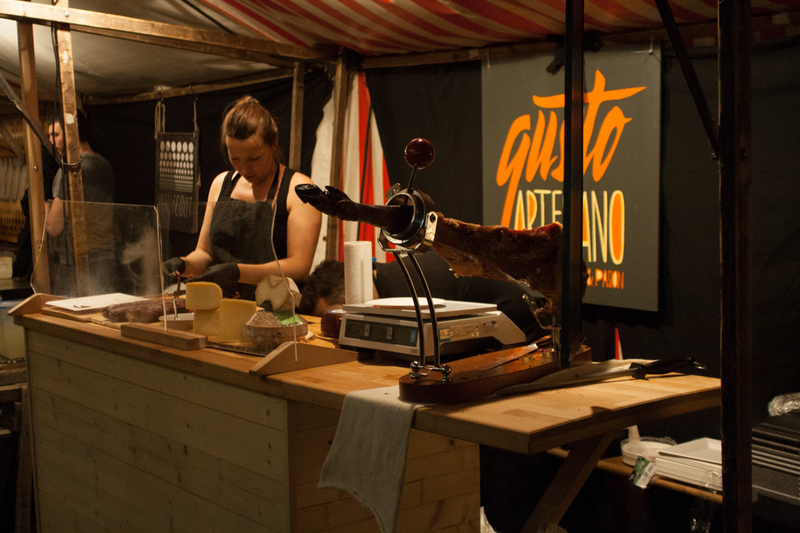 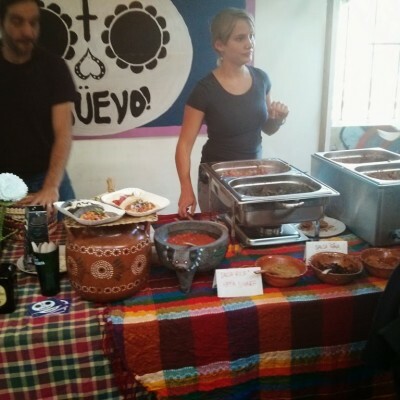 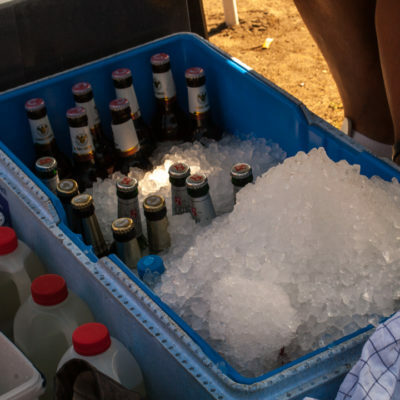 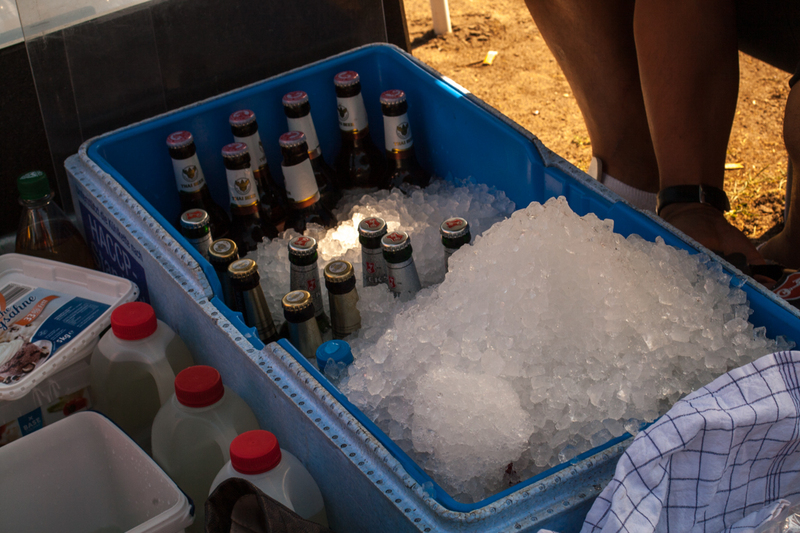 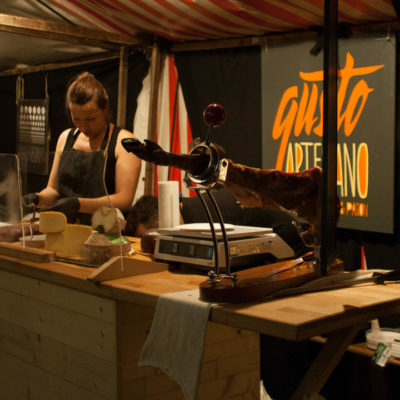 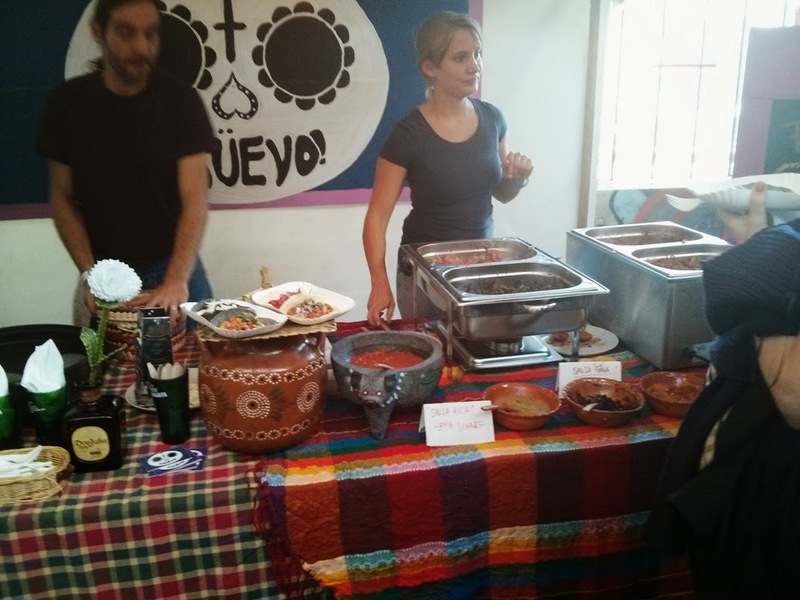 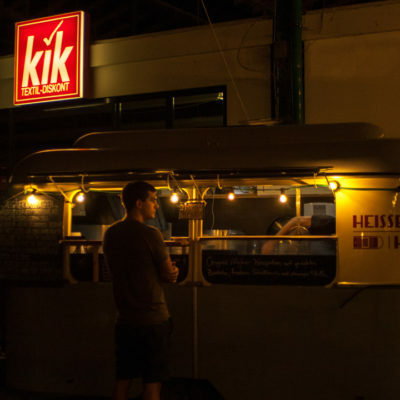 One can find there booth with genuine Italian pizza, or a stand with Indian Pale Ale or a blond ale, as well as a variety of Mexican, Spanish, Asian cuisine. 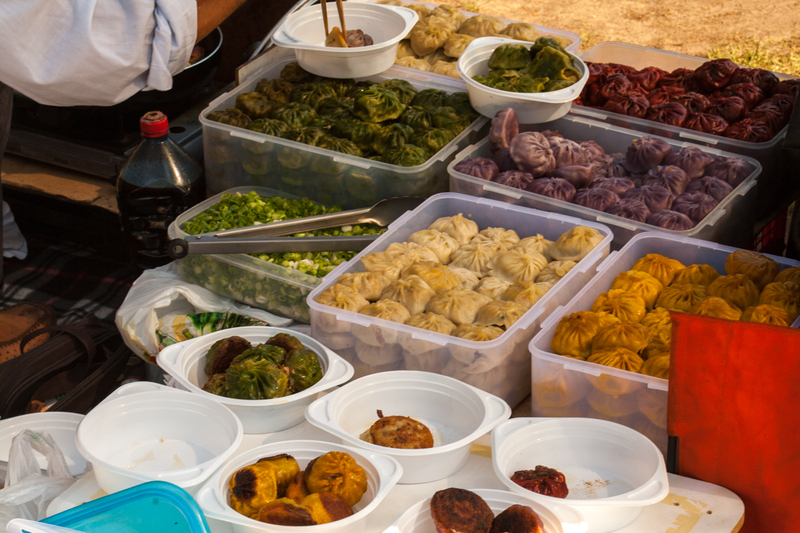 The most busy day is Thursday, the market is also opened on Sundays. 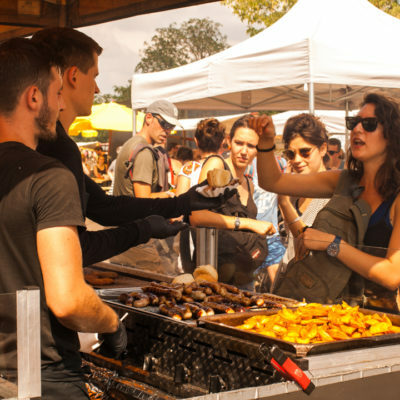 Just check out their calendar of events on the website. 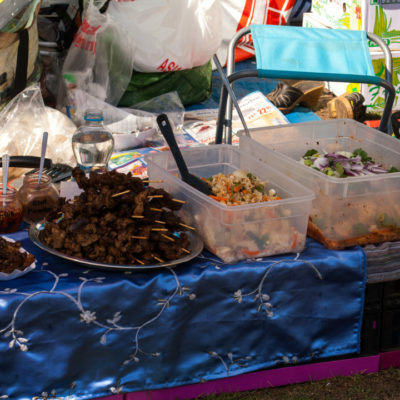 The place is famous mostly for its flee market and karaoke contest in summer, but in underrated in terms of delicious food. 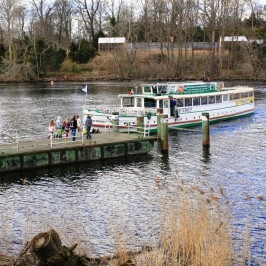 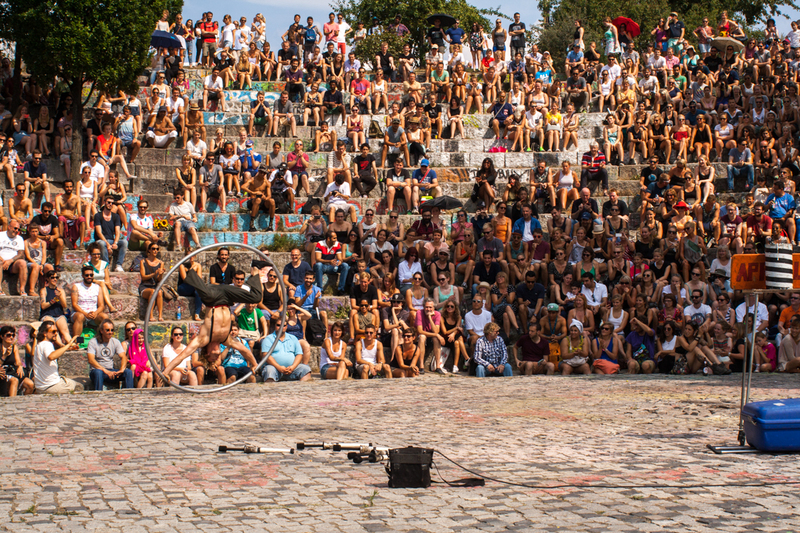 The venue which was split by the Wall attracts a lot of locals and tourists every Sunday. 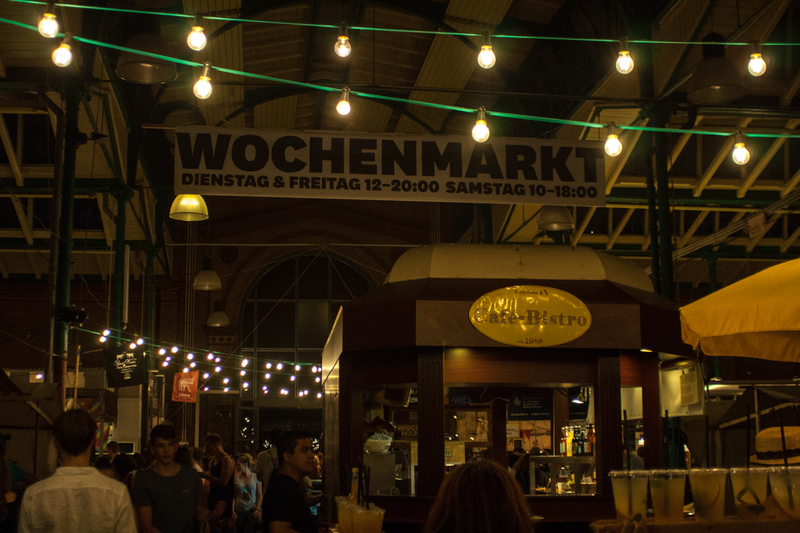 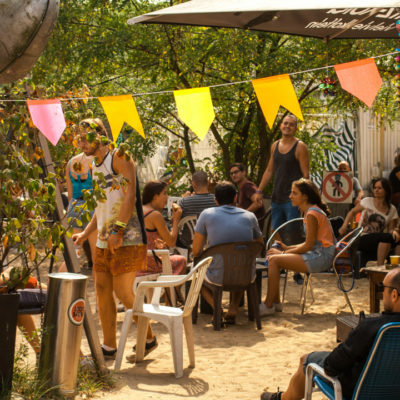 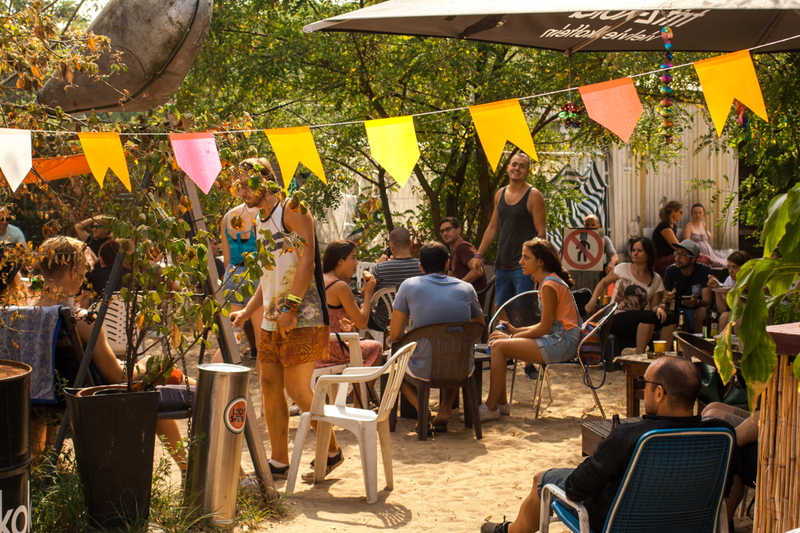 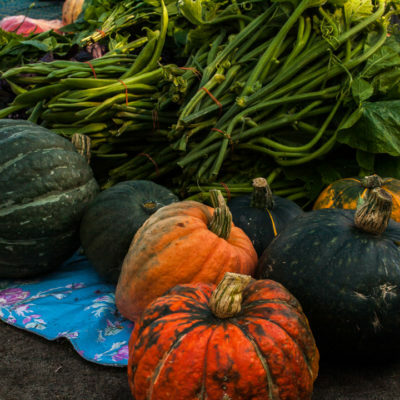 Previously we were sharing our article about Mauer Park Flee Market, now it’s time to say a few words about food. 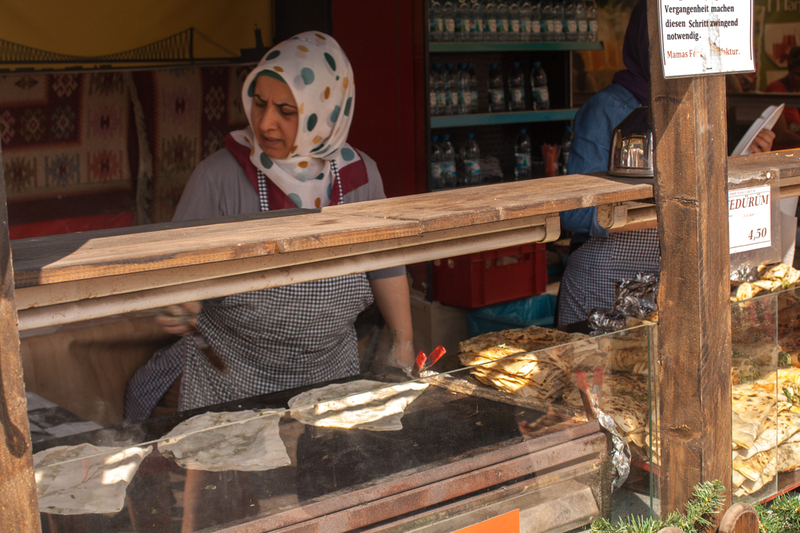 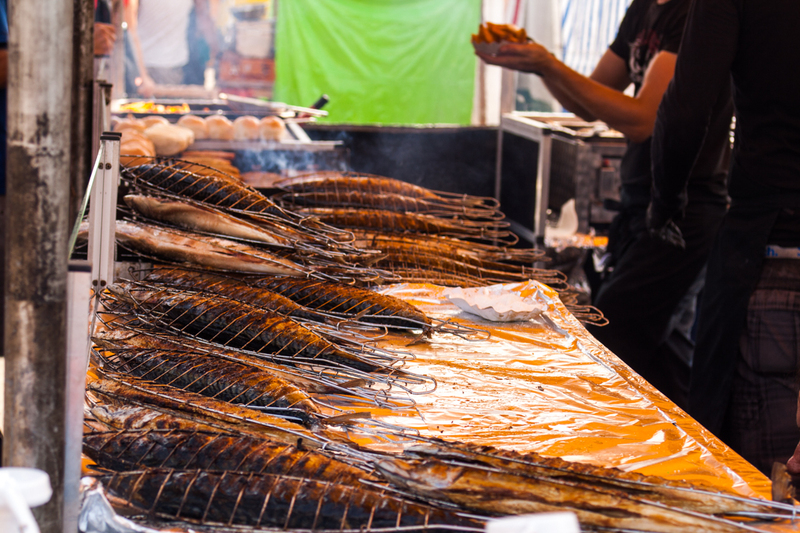 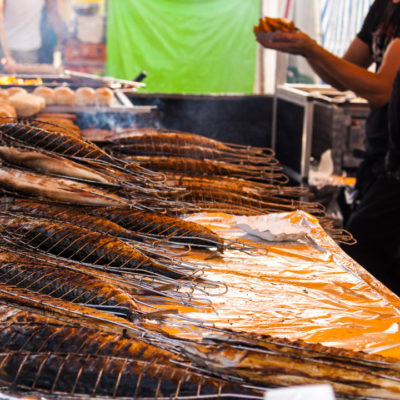 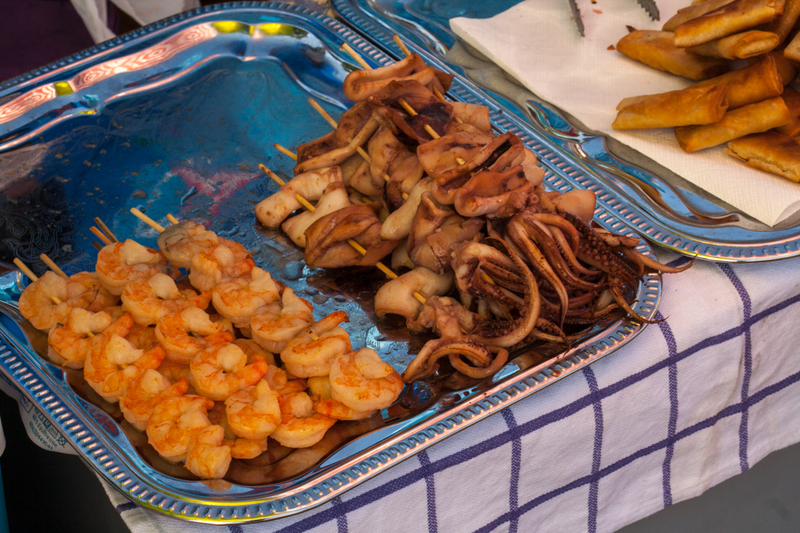 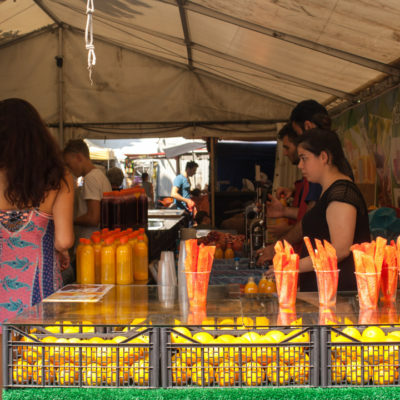 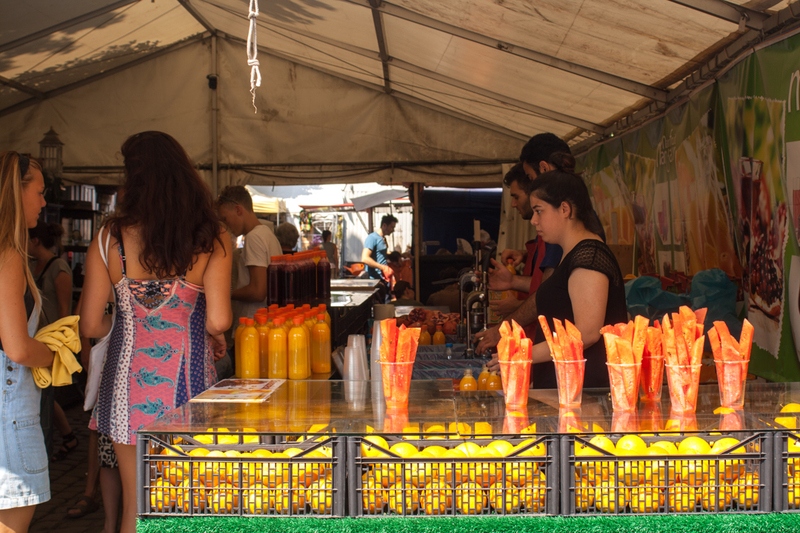 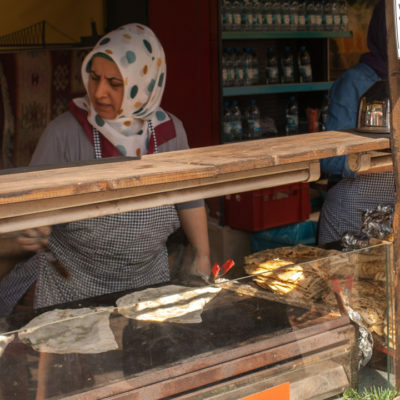 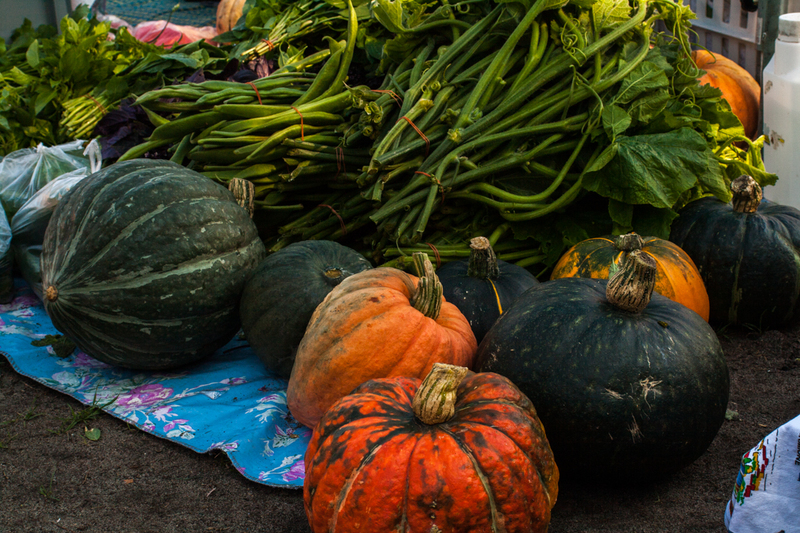 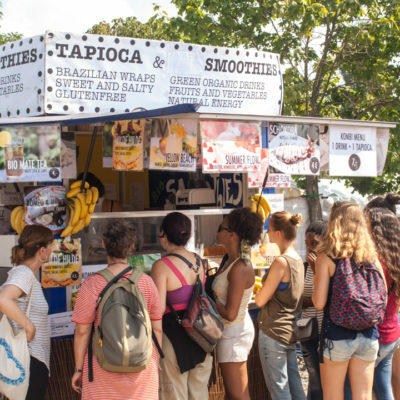 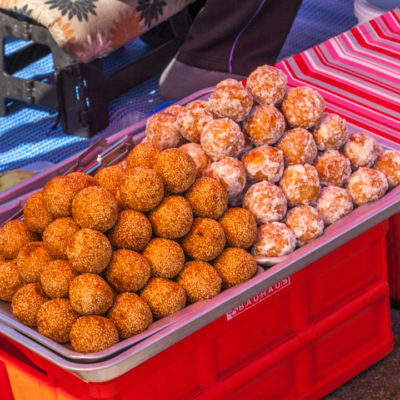 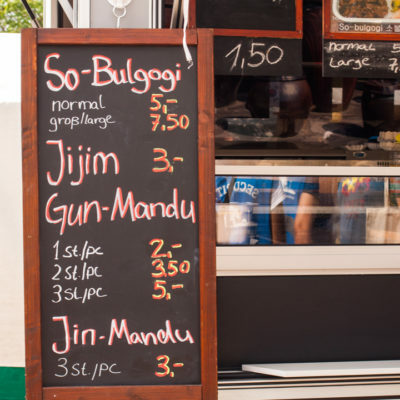 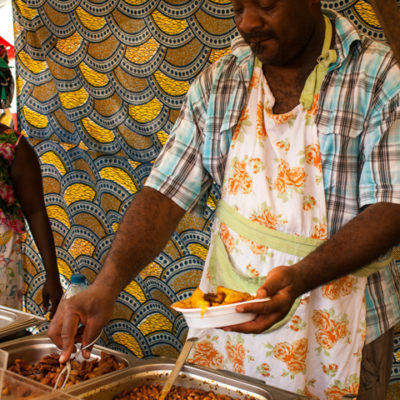 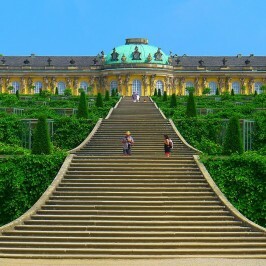 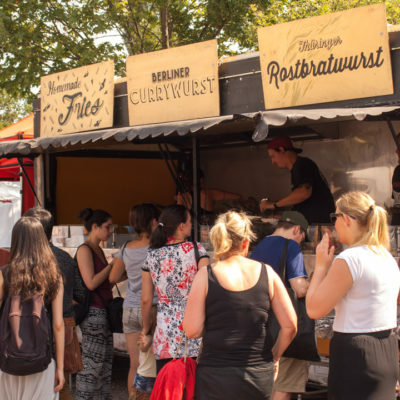 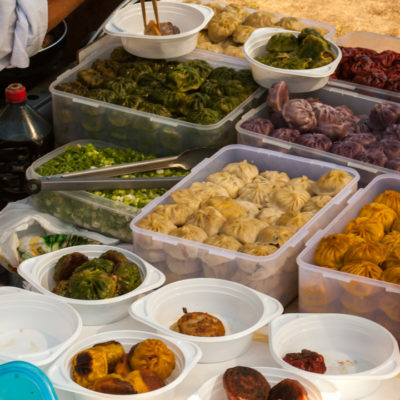 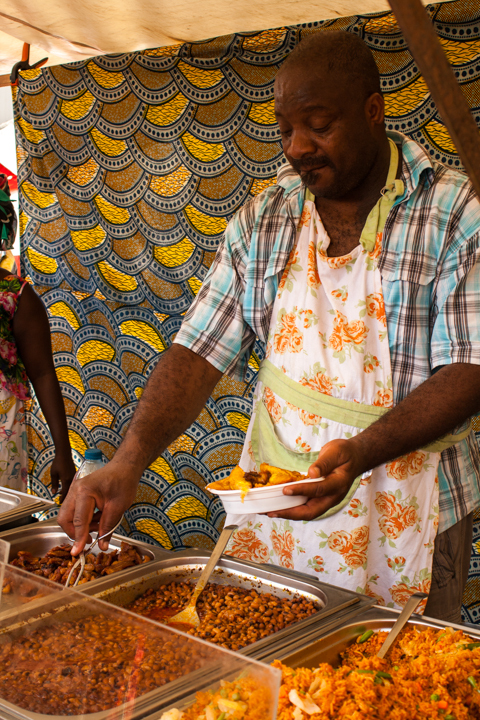 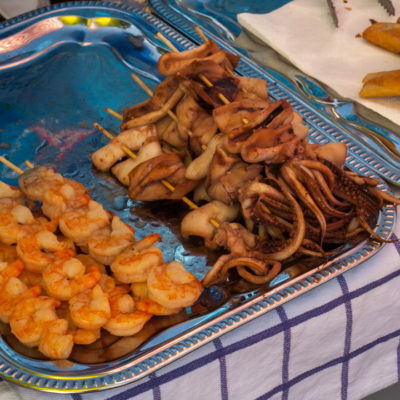 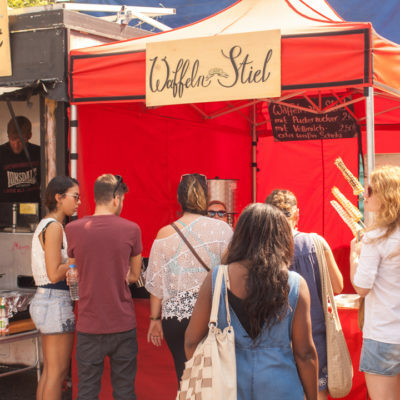 On a sunny (or cloudy) day one can find traditional German food, as well as veggie stalls, burgers, fish, Brazilian, Turkish and African cuisine. 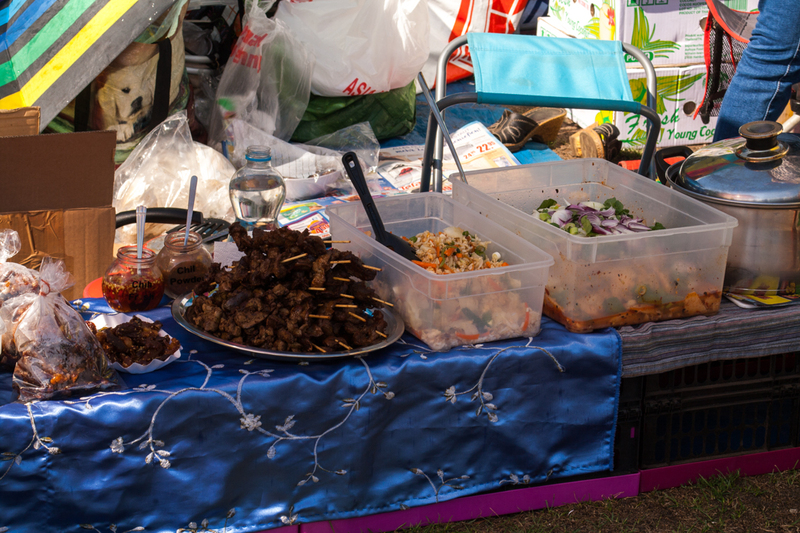 Once even we saw booth with Mongolian food. 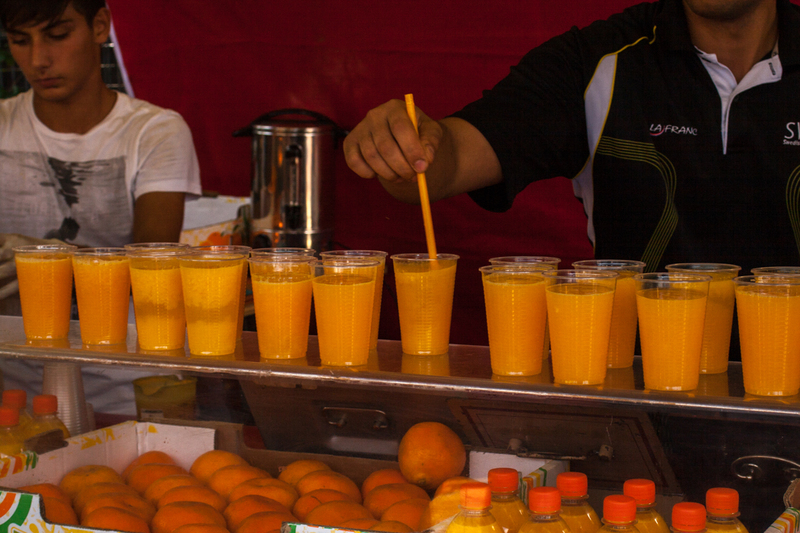 A great variety for a pampered tourist. 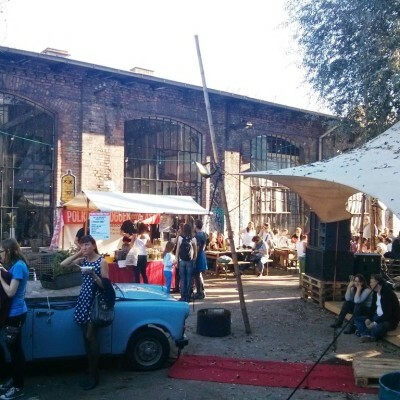 The place is not only about the food and flea market. 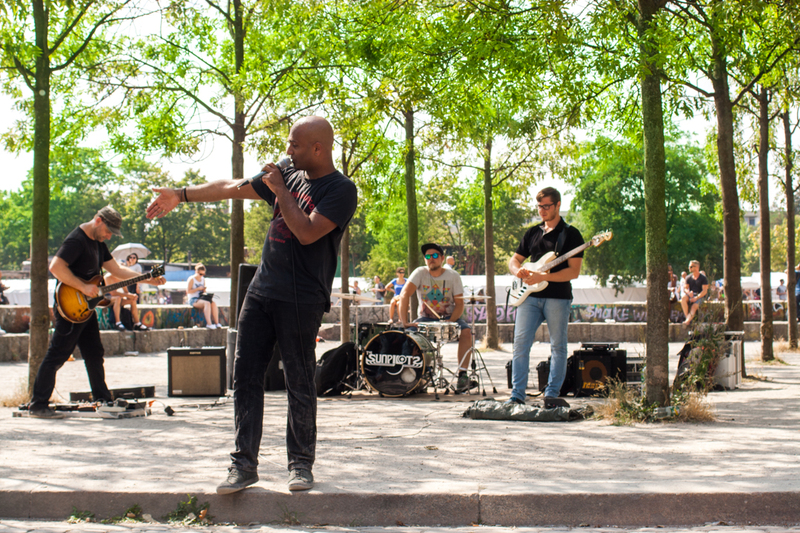 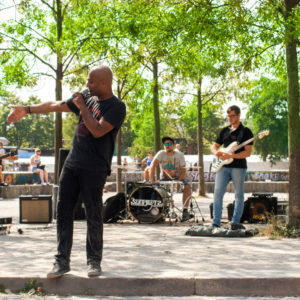 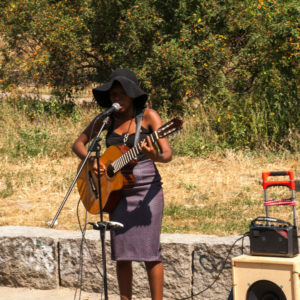 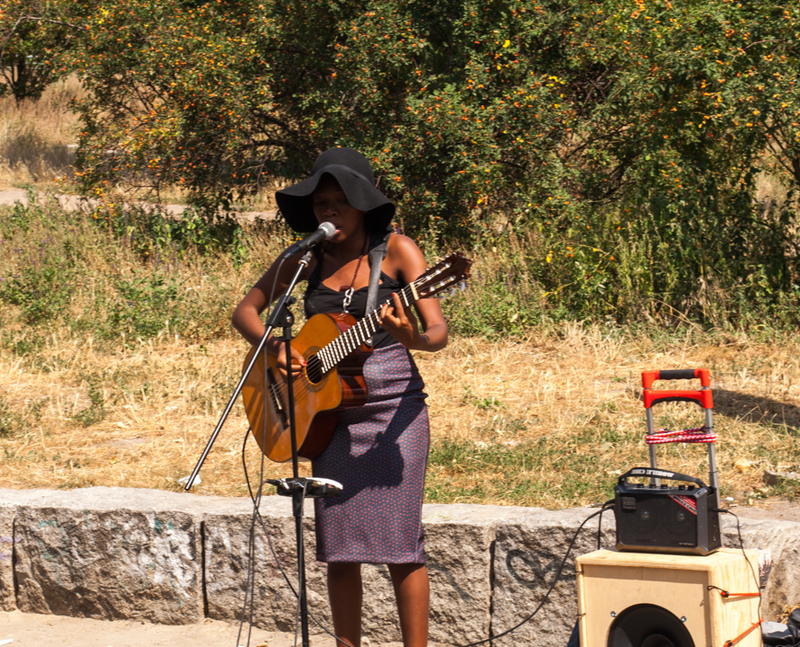 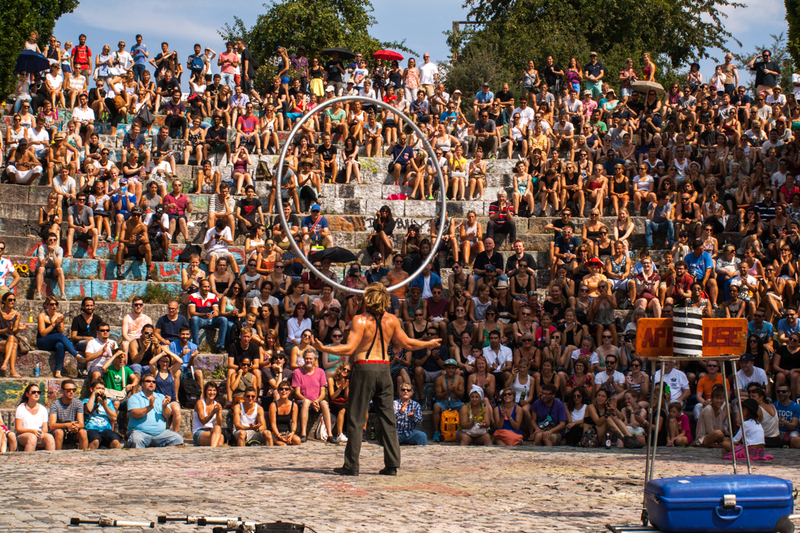 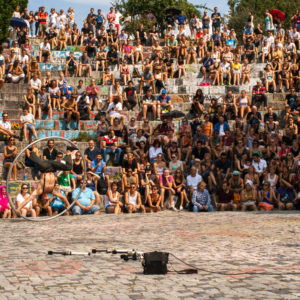 It is a also a venue for street artists and singers. 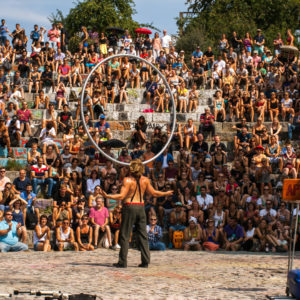 As we said sometimes in summer there is a karaoke contest – this time we saw only an outstanding acrobat at the arena that serves as a karaoke scene. 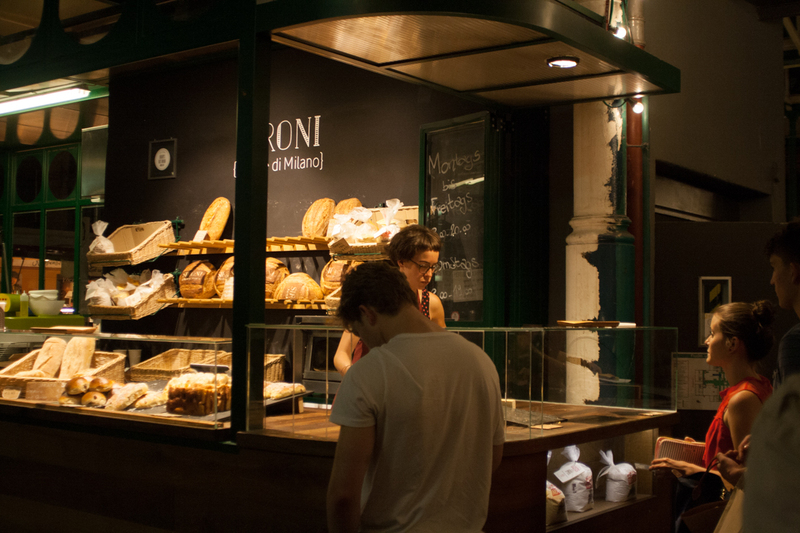 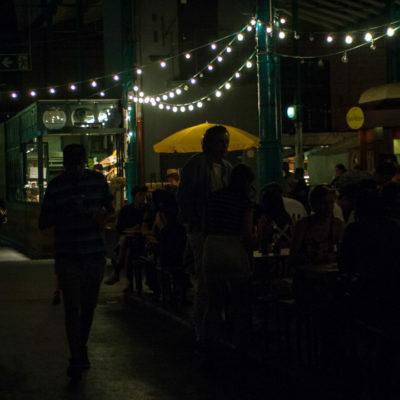 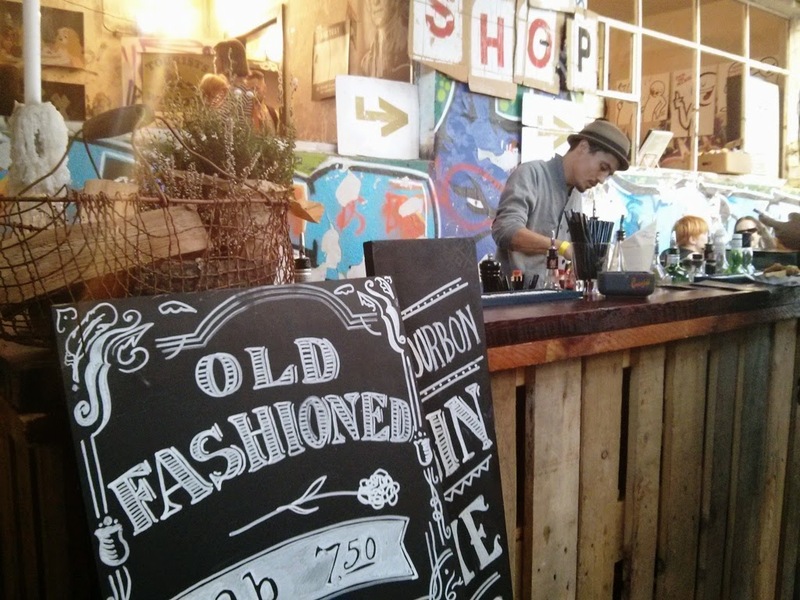 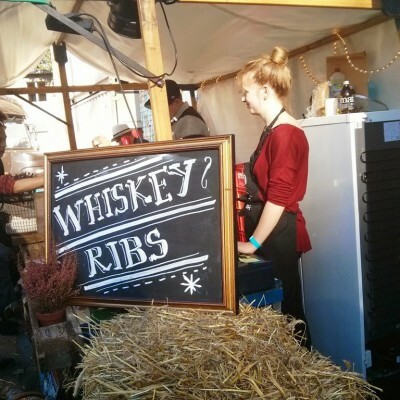 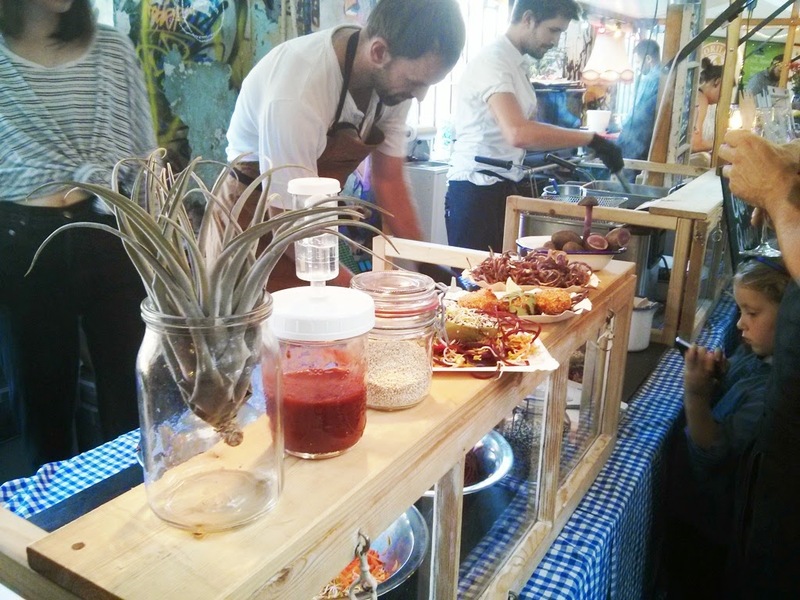 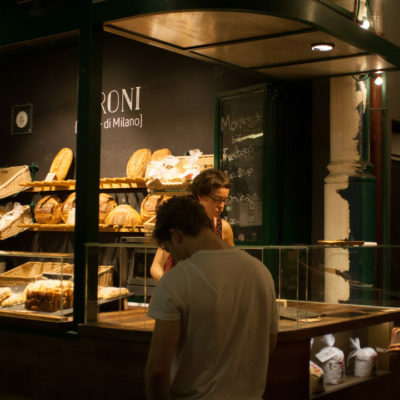 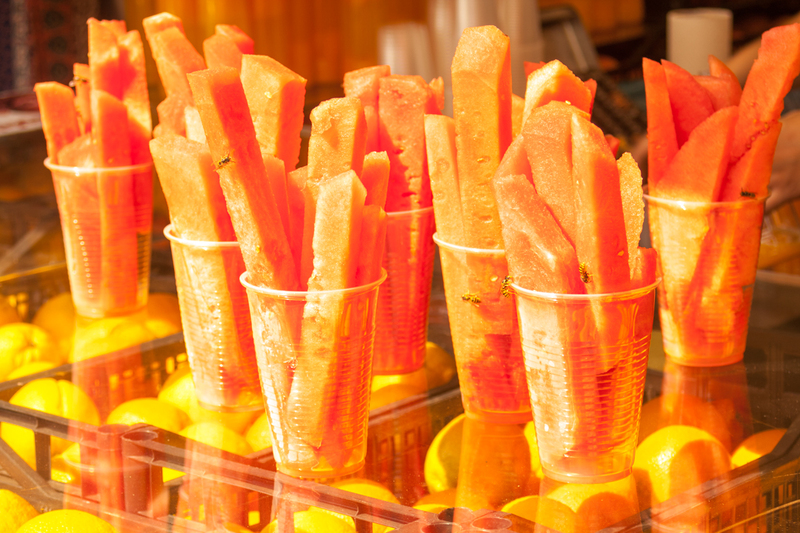 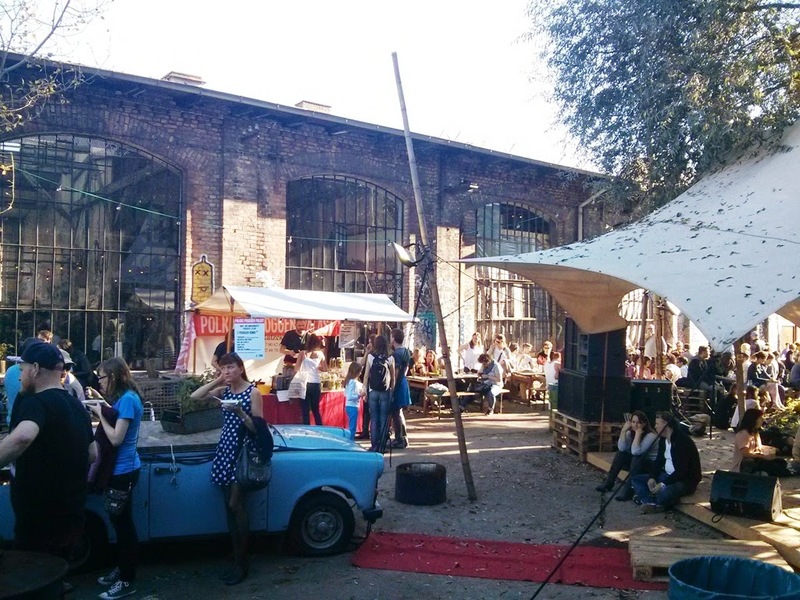 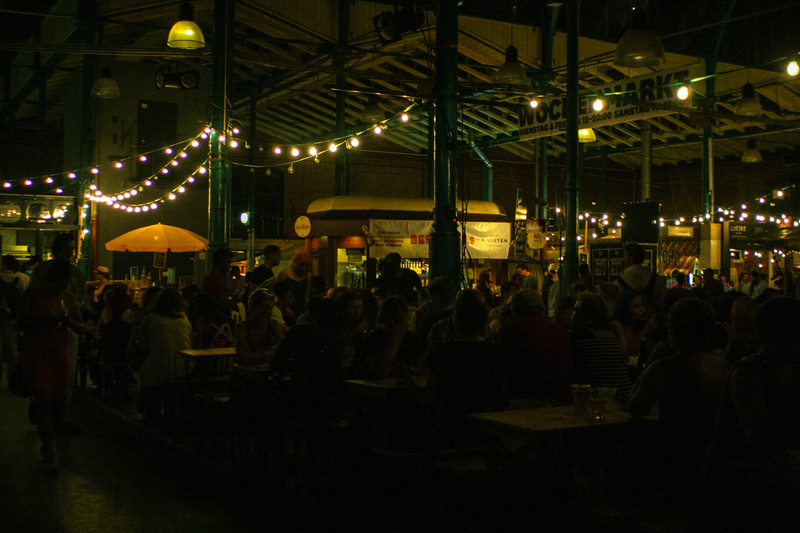 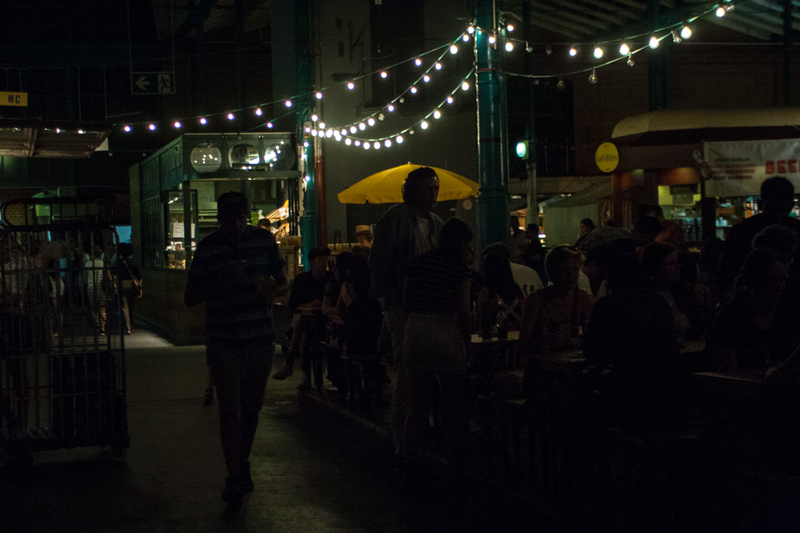 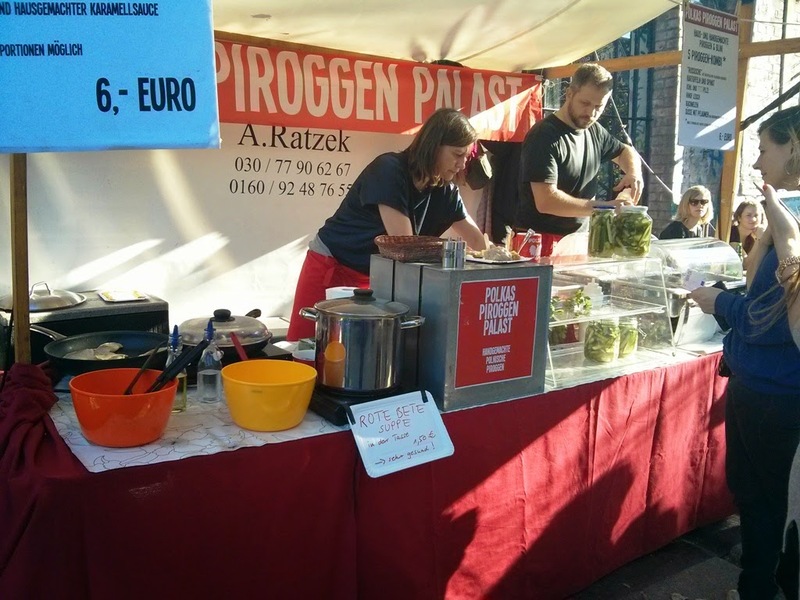 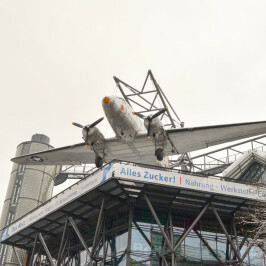 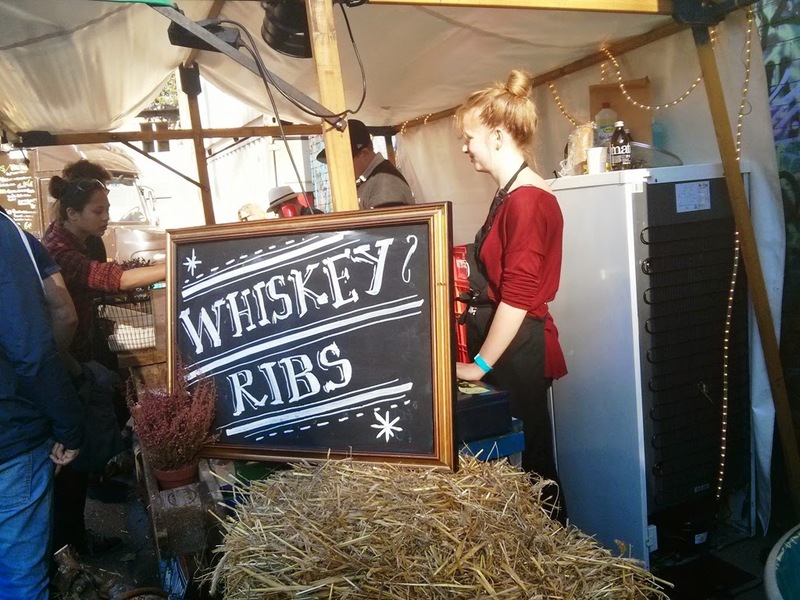 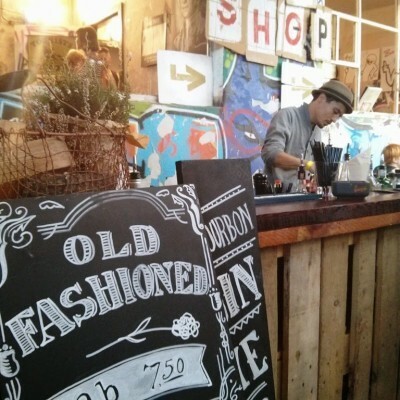 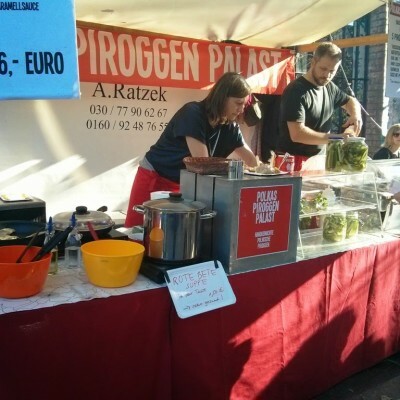 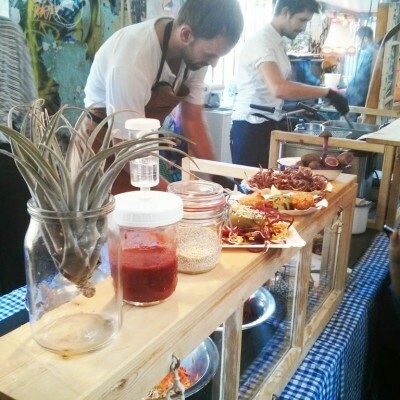 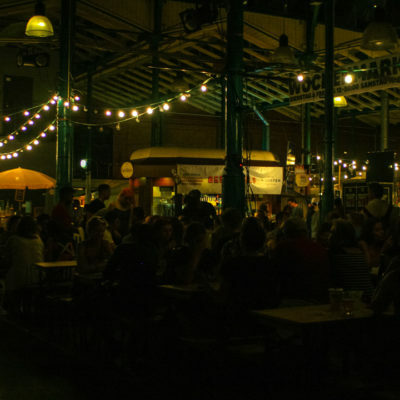 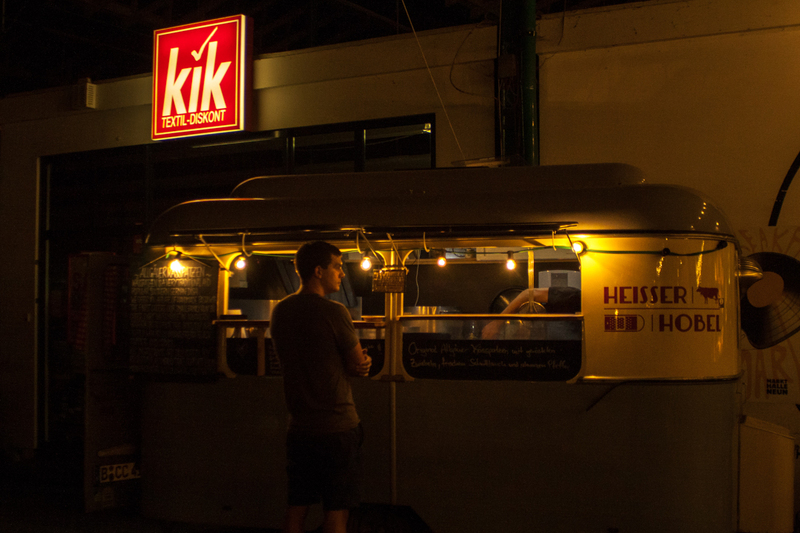 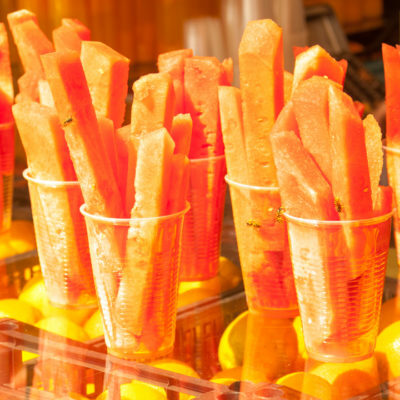 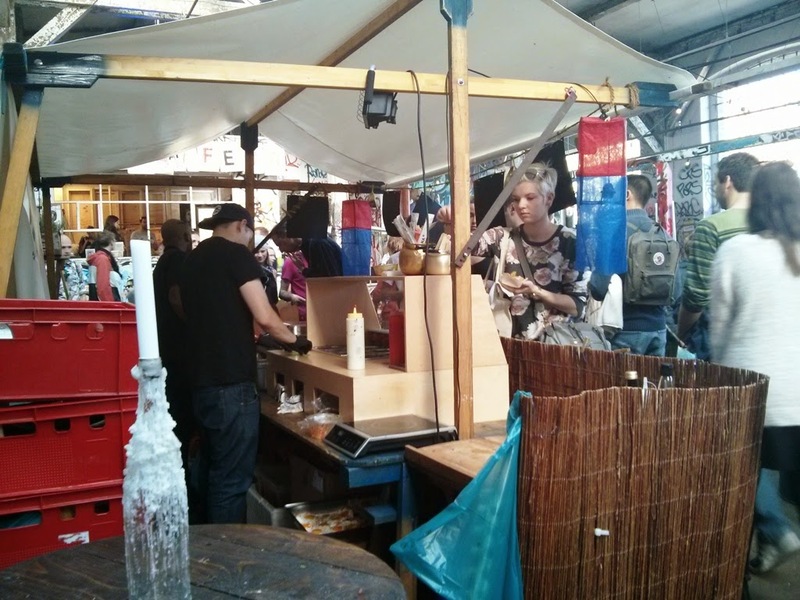 A long time ago in this post we told a bit about the Revaler Strasse food market. 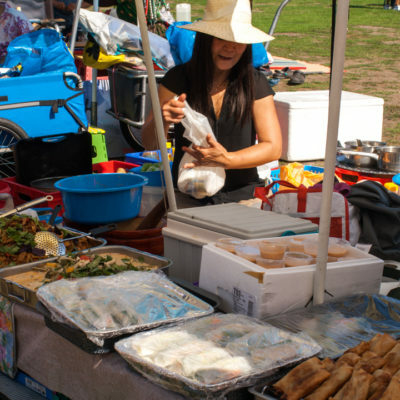 That market is not big, but back in the old sunny days we met friends there over a plate of enchiladas or other tasty snack. 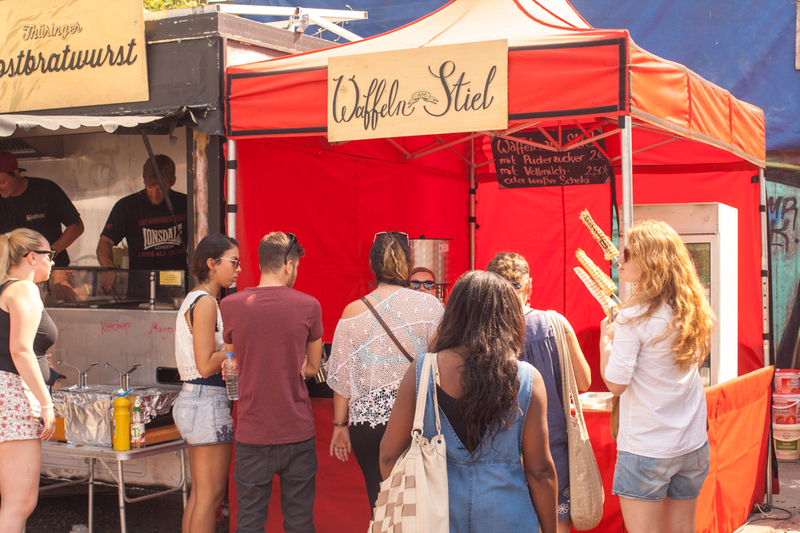 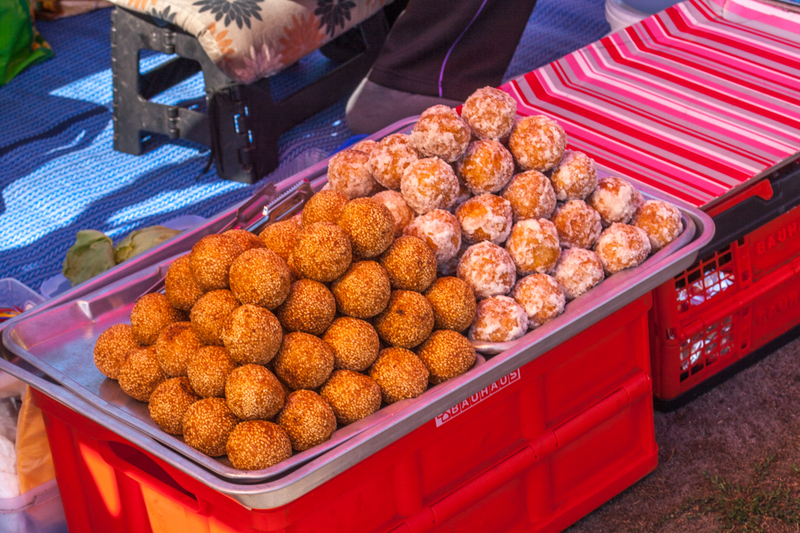 It also takes place on Sunday and we do regret it is impossible to visit all the food markets within the same day. 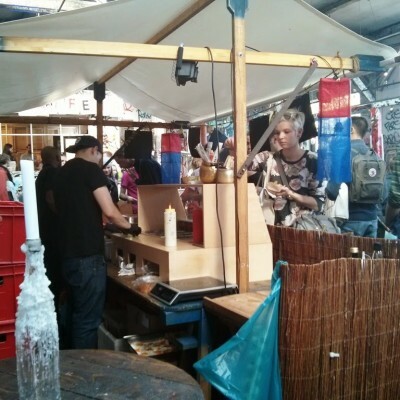 Update: as Neu Heimat was closed last year, we are not sure if any market is taking place anymore. 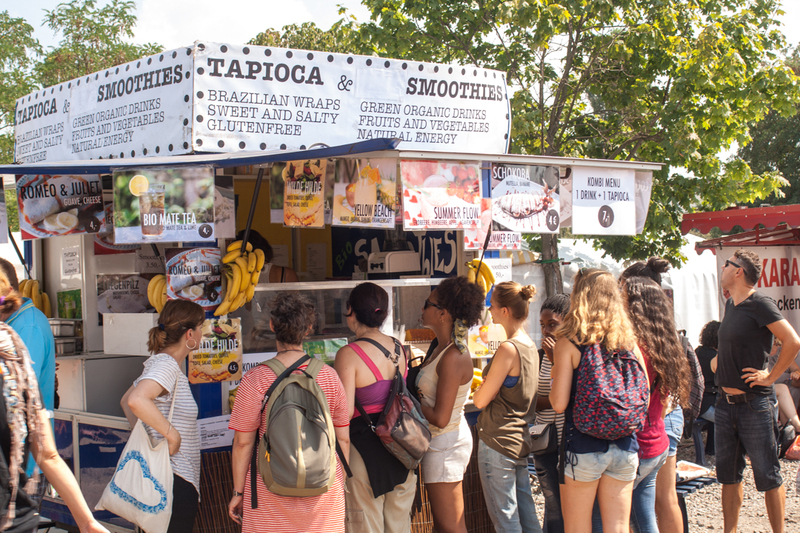 Anyway, thanks for great food and smoothies! 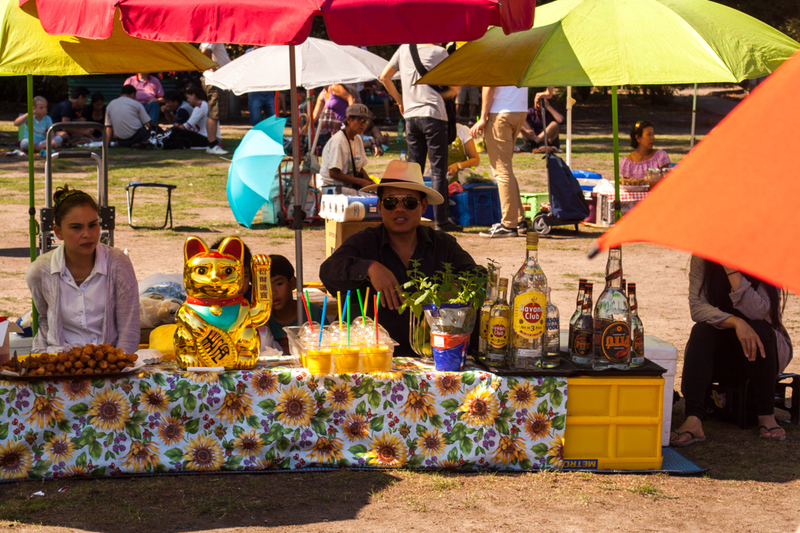 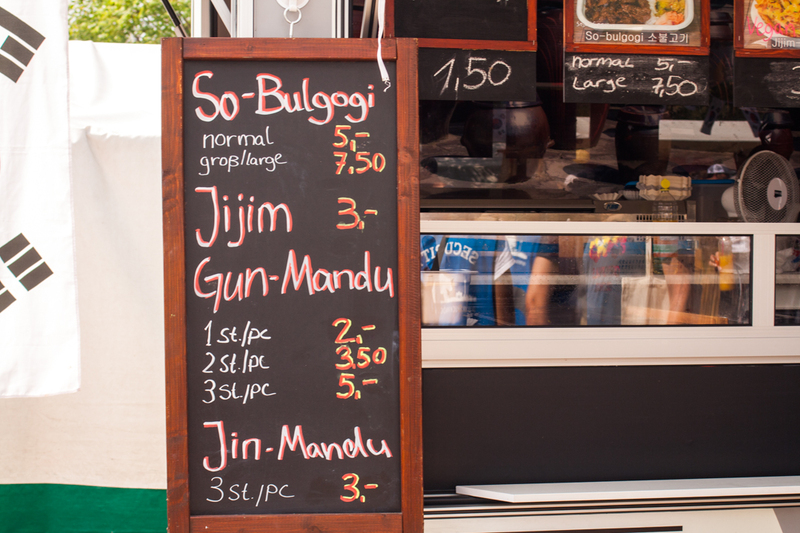 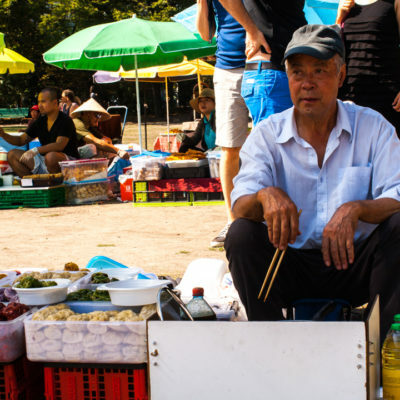 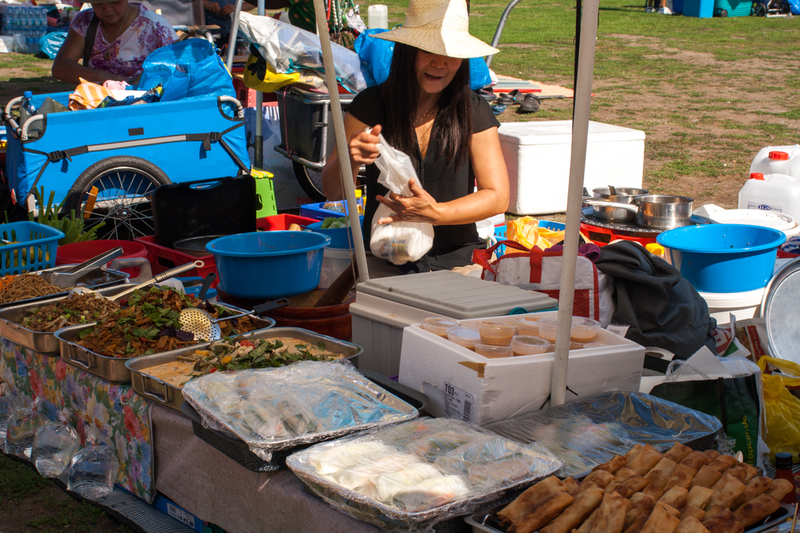 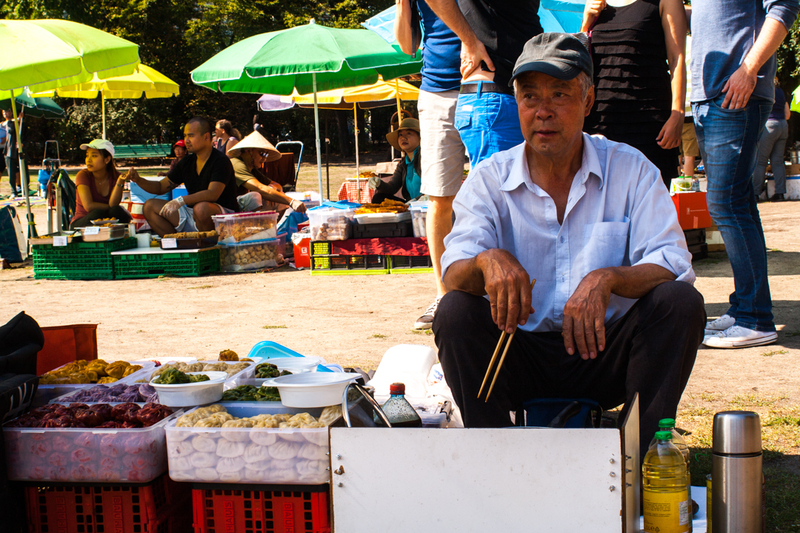 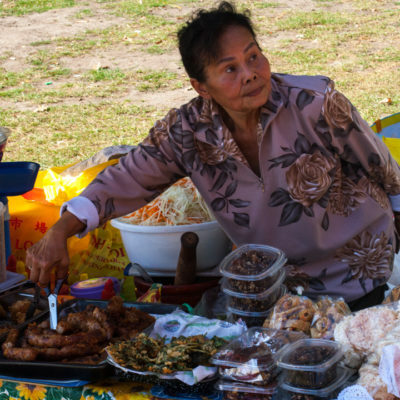 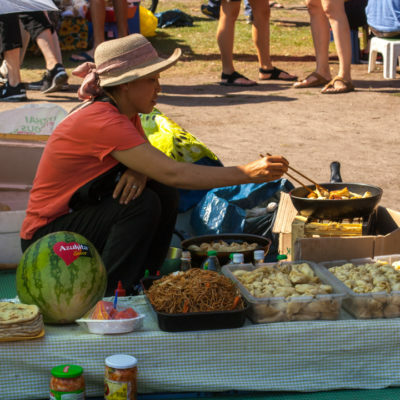 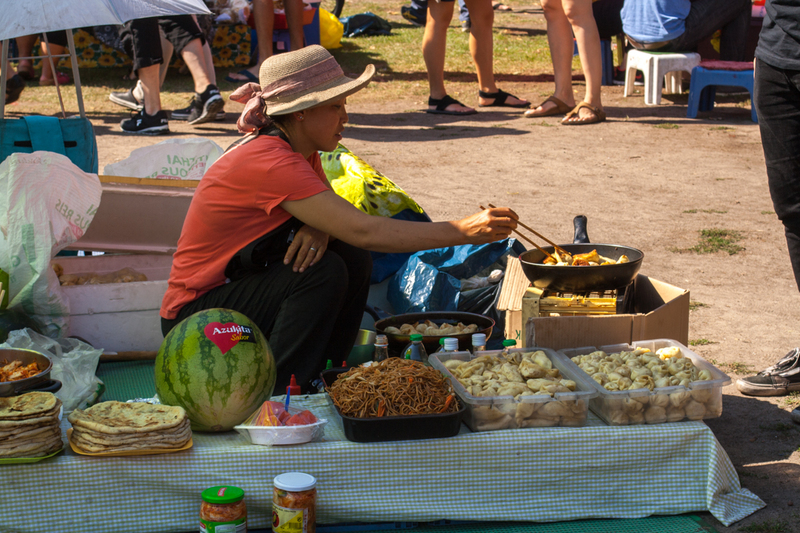 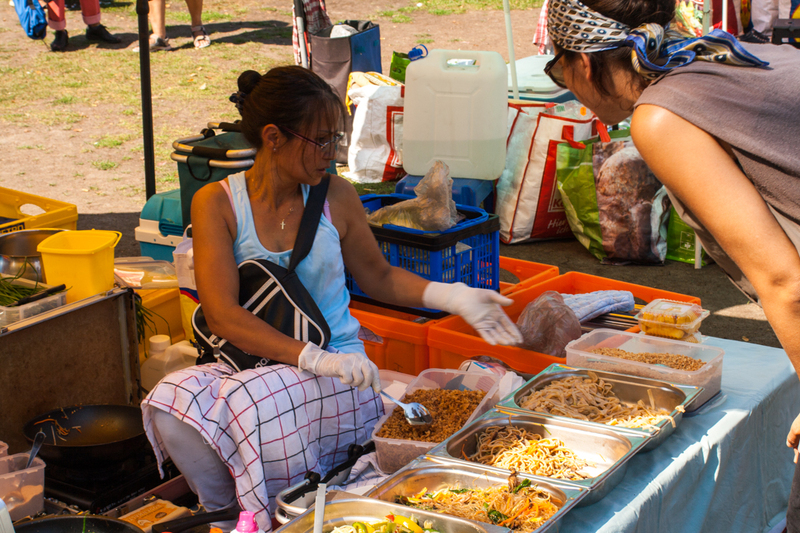 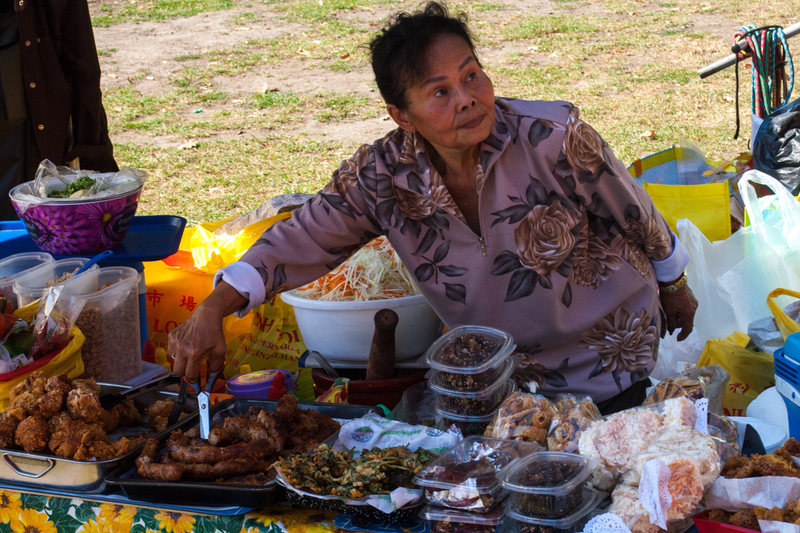 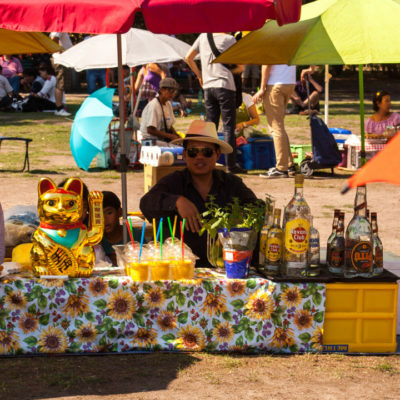 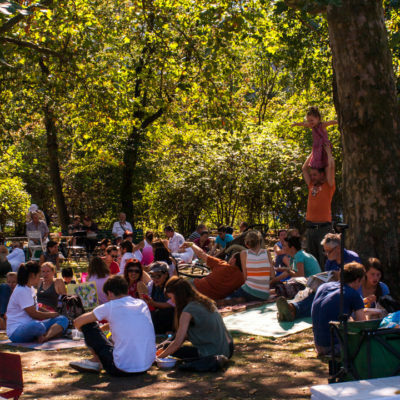 Last, but not least is the Thai food market in Wilmersdorf district, directly in Prussian park. 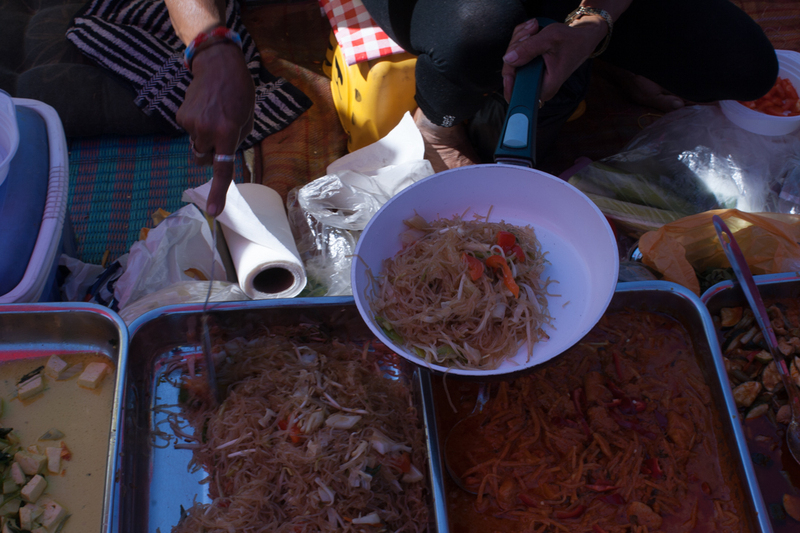 As we heard, this food market have been there for 20 years already and it is organized by Thai emigrants. 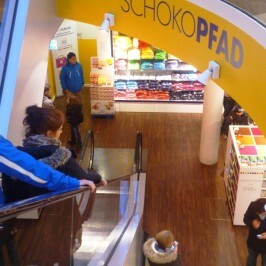 The food differs so much that it is getting really hard to pick up something. 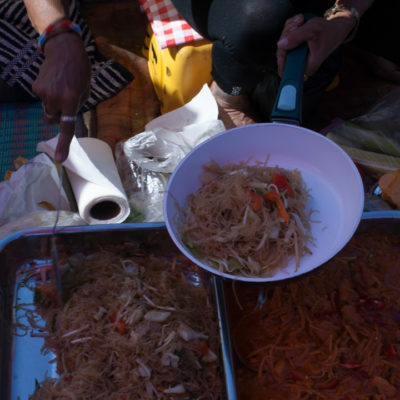 Noodles are not worse than that in Bangkok, experts say. 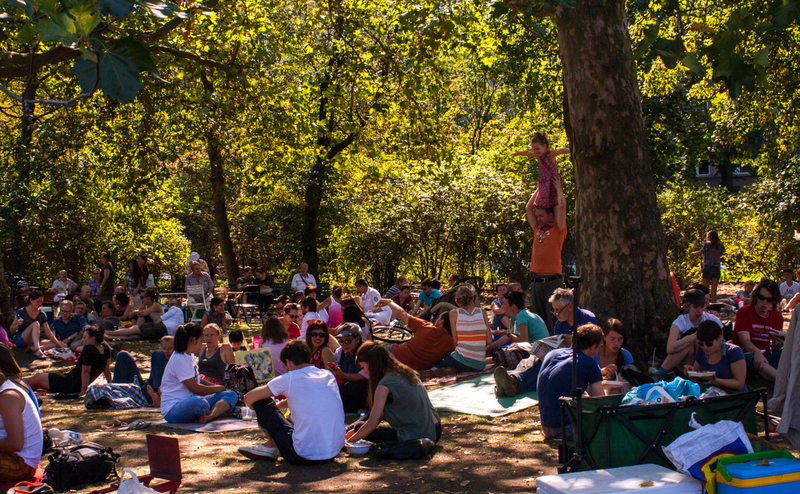 That is the place to spend your Sunday morning, kicking back on the green grass under the trees. 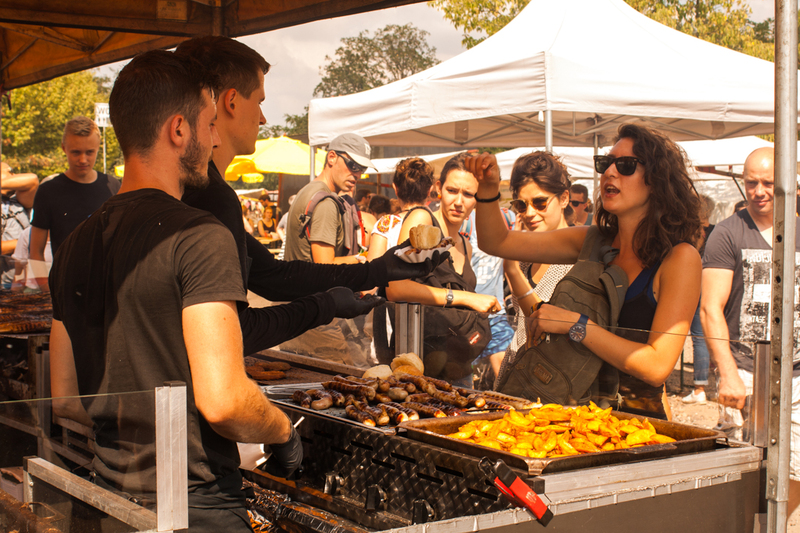 Whenever you decide to spend your food weekend, make sure to make it a proper food eating experience.